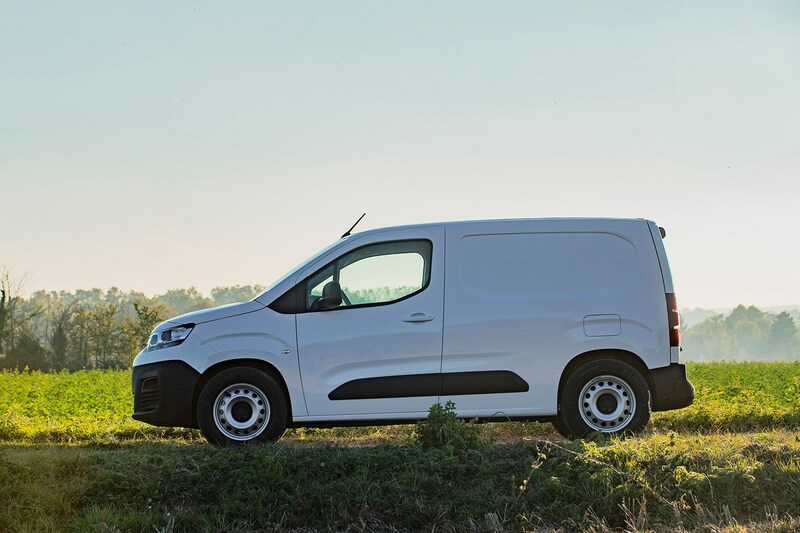 The Citroen Berlingo is a hugely important small van, not only for Citroen and the wider PSA Group – which includes Peugeot and Vauxhall – but also the van world in general. It’s one of the biggest-selling models in Europe alongside the Peugeot Partner and rival Renault Kangoo, and this third-generation model arrives with a number of high-tech innovations and the promise of greater practicality than ever. It’s got a tough job on its hands, though, as near-identical versions – in the form of the Peugeot Partner and Vauxhall Combo – will compete for sales, while the evergreen Ford Transit Connect and Volkswagen Caddy are also particularly popular among UK buyers. All come with manual gearboxes as standard, while the BlueHDi 130 is also available with an eight-speed automatic transmission badged EAT8. There will also be a higher-output petrol – the PureTech 130 – joining the range in 2019, which will also be available with the EAT8 gearbox. There’s a total of four trim level options for the Berlingo, starting with X, moving up to Worker, Enterprise and Driver. 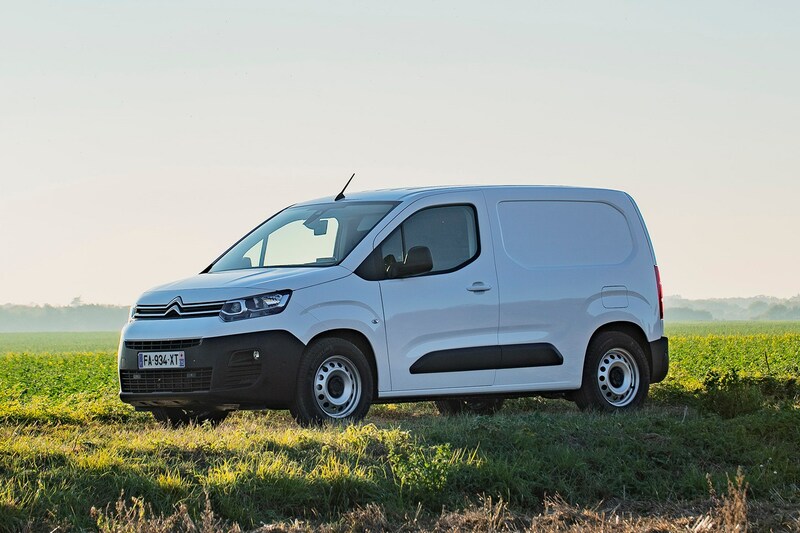 Citroen has adjusted its trim levels to reflect the way its customers use their vans. As such, X and Worker versions are more utilitarian (the latter with greater ground clearance), while Enterprise and Driver models feature more technology and more comfort features that suit drivers spending more time on the road. Picking between this, the Peugeot Partner and the Vauxhall Combo will come down to which you prefer the look of, which interior you like the best and probably how close your nearest dealer is (or how good a deal you can get). 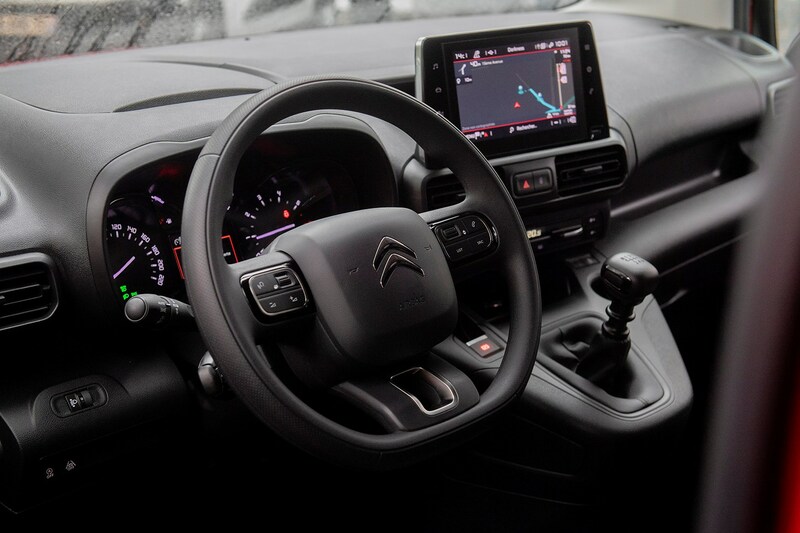 The Citroen Berlingo delivers with the most interesting, cohesive exterior design and combination of user-friendly interior (more so than the Vauxhall and Peugeot) with a couple of nice touches (the dials and steering wheel) from Citroen’s car models. The load area is large and flexible with space for two Euro-pallets, and the ability to carry up to 1,000kg of cargo (on some models) makes it an enticing proposition. It’s also easy to drive with refined, frugal and punchy engines, and the wide range of trim levels and options (and conversions) mean there should be a version that suits all tastes. 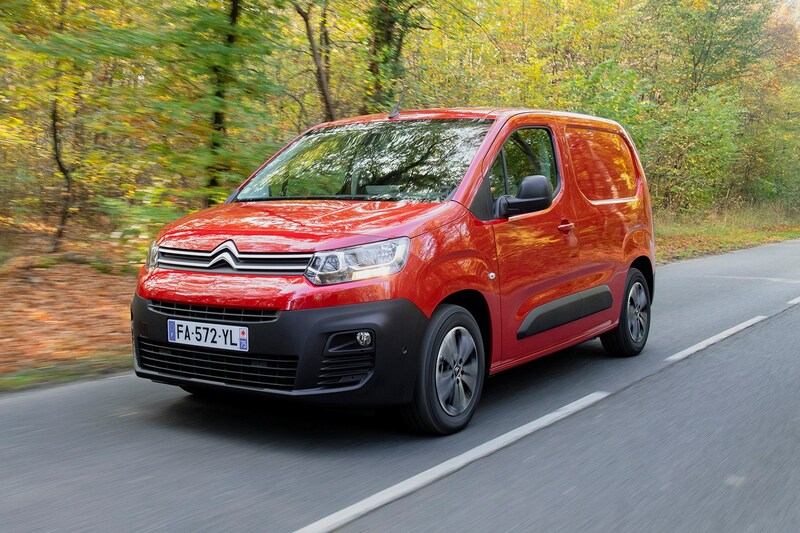 The Citroen Berlingo is an easy van to drive, with a range of engines that suit its character well, although the least powerful BlueHDi 75 model may feel a little gutless when loaded up. What are the Citroen Berlingo diesel engines like? The BlueHDi 75 is likely to be best suited to use around town with light loads, as it doesn’t quite have the legs to get up and go on the motorway like the higher-output versions would. As such, the middling BlueHDi 100 will be the choice for those splitting time equally between urban driving and on faster roads, the combination of more power and a bit more usable torque making it an easier machine to drive. It’s a refined engine with smooth power delivery, while the five-speed manual gearbox is precise, if a little notchy in its action. Still, it’s a good fit in the Berlingo (as it has been for several years) and will likely be a big seller. Move up to the BlueHDi 130 if you want the most refined and responsive engine in the Berlingo. It uses a newer 1.5-litre diesel engine instead of the old 1.6, and it’s also found in several other PSA car models. It uses a six-speed manual gearbox that’s slicker than the five-speeder, and is impressively refined at all speeds. It’s very easy to drive, feeling flexible and offering enough pulling power for all driving situations. It’s smooth in town but responsive at speed, making it the best all-round fit for the Berlingo, we think. What are the Citroen Berlingo petrol engines like? Those using their Berlingo largely in town may be swayed by the 110hp PureTech petrol engine (a 130hp version joins the range later on), especially if you’ve been put off by diesel hitting the headlines in recent times. It’s a surprisingly eager engine with a characterful three-cylinder thrum emanating from beneath the bonnet, and pulls strongly up hills – more so than you might expect. However, it’s not always the smoothest engine and can become quite vocal at higher revs, so bear this in mind if you are going to be undertaking long journeys in it. Fuel efficiency on longer journeys won't be as good as a diesel, either. The way the Berlingo rides depends on the version you go for – we found the BlueHDi 130 diesel rode better than other versions we tested – most likely because of the greater weight over the front of the car. In comparison, the lightweight PureTech 110 Berlingo felt quite bouncy and fidgety over rough surfaces. However, all versions dealt with speed humps and rough surfaces admirably, without too much happening to upset the comfort in the cabin. The seats are comfortable with plenty of padding and support – while those with an armrest attached to the driver’s seat offer a little added comfort. It handles well, too, feeling much smaller than you might expect on the road. The high driving position affords the driver an excellent view of the road, and it doesn’t feel wide or cumbersome on the move. The steering isn’t exactly full of feel, but it’s more responsive with greater feedback than the equivalent Peugeot’s small steering wheel setup. While it might look sporty in the Partner, it feels more natural and easier to place in the Citroen. Go for a Berlingo Worker and it features the brand’s Grip Control system – to boost traction on slippery surfaces – and an extra 30mm of ground clearance to suit being used on construction sites and the like. The Grip Control system is an advanced form of traction control that lets you twist a dial to adjust the settings based on the kind of road surface you’re driving on. If you need proper four-wheel drive, Citroen will do an official conversion instead. PSA Peugeot-Citroen’s diesel engines have been impressively refined units for a while now, and even the 1.6-litre BlueHDi engines that have seen service in the outgoing vans remain quiet and never too vocal. Of course, like any diesel engine in a commercial vehicle, revving it hard will send vibrations and noises through to the cab, but in normal driving they remain nearly [to differentiate from following sentence] as hushed as you’ll find in many passenger vehicles. The BlueHDi 130, however, using a newer 1.5-litre unit is just as quiet as you’ll find in a car. It revs smoothly as power builds, and very few vibrations make their way to the interior, remaining quiet all the time. It’s by far the most relaxing version of the Berlingo, which is why it’s best-suited to those travelling longer distances. The PureTech 110 – as in some of PSA’s cars – is a vocal three-cylinder engine that, while characterful, can become quite noisy at higher revs. You’re more likely to hear this than in the diesels too, as the torque deficit compared with these means you’ll need to work it hard to make the most of the power on offer. At speed it’s as hushed and quiet as the diesels thanks to a sixth gear to quieten things down, though. It’s worth noting that the higher-spec Berlingo Driver models feature more sound deadening than other models too, boosting the refinement and comfort levels. 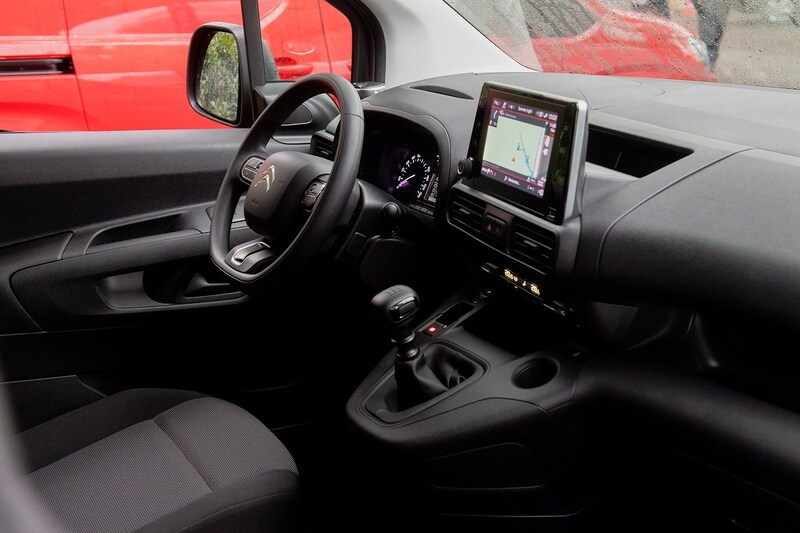 Jump inside the cabin of the Berlingo and there’s a driver-focused dashboard dominated by lots of clever storage areas and a large infotainment screen protruding from the dash, angled slightly toward the driver for simpler operation. It’s easy to get comfortable – easier than in the Peugeot Partner with its i-Cockpit and associated tiny steering wheel – with plenty of adjustment in the seat and steering wheel, offering a good view out. The gearlever is mounted high on the centre console and is easy to use on the move, falling easily to hand, while an electronic handbrake frees up space between the two front seats (not the case if you go for the three-seat option). 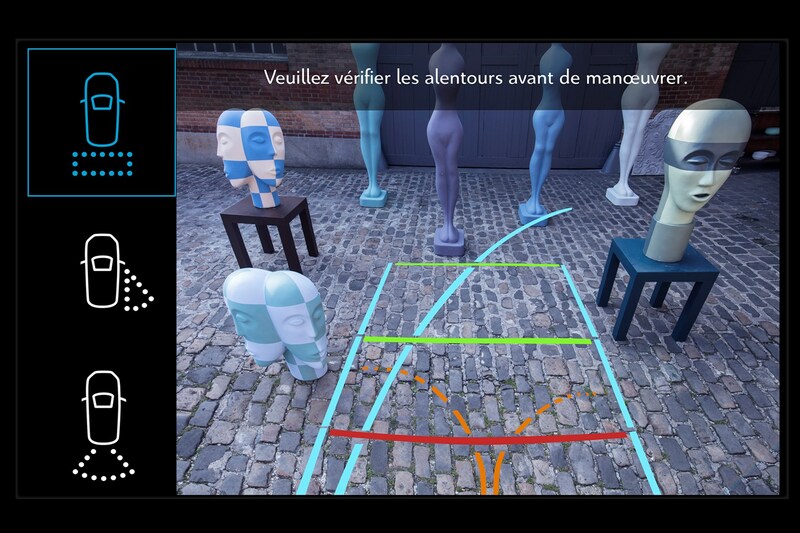 In place of a conventional rear-view mirror is Citroen’s Surround Rear View Camera system – a 5.0-inch screen where you’d normally expect to see a mirror displaying an image from a pair of cameras, one mounted at the top of the rear doors and another in the passenger door mirror. You can read more about this system in the Safety and Security section. A set of small air-con controls sits beneath the screen and pushed quite far back, making it a little tricky to quickly operate on the move. The need to take your eyes off the road to change the temperature is a disappointment. 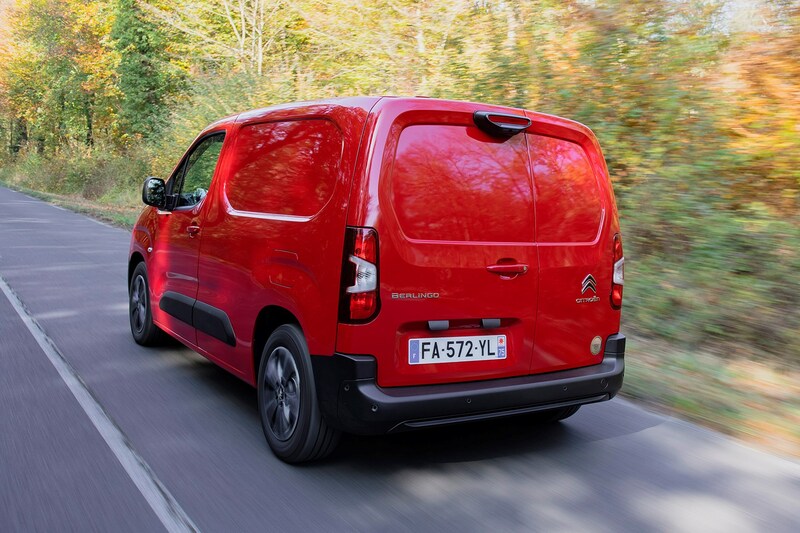 Citroen (and Peugeot and Vauxhall) claim there are class-leading levels of storage in the latest Berlingo, with up to 113 litres of storage space in the cab. This is distributed between a small glovebox, large door bins, a shelf above the front seats, a dashboard box (which fits an average-sized laptop) where an airbag would normally be (it’s moved to the roof), and one on top of the dials if you don’t specify the optional head-up display. There’s also a small tray ideal for a mobile phone (wireless charging is available here) located just beneath the heating and ventilation controls, keeping your valuables tucked away. The Berlingo uses a version of PSA’s latest touchscreen media system featuring a large 8.0-inch touchscreen sitting proud of the dashboard and angled slightly towards the driver. Its location makes it easy to reach and operate on the move, and it controls everything from the sat-nav and media to the phone and general car settings. The good news is you don’t have to control the temperature and ventilation from this screen like you do in many of PSA’s passenger vehicles. With a range of frugal BlueHDi engines to choose from, running a Citroen Berlingo shouldn’t cost too much. These are some appealing stats (figures for the PureTech 110 aren’t available at the time of writing, but it’s unlikely be able to reach the lofty claims of the range of diesels), while CO2 emissions for the petrol could be similar. All Citroen vans come with a three-year/100,000-mile warranty, although the first two years of this warranty allow unlimited mileage. The previous Berlingo sold in huge numbers and features engines and components that have also been used for a long time, many of which have been carried over to this new model. This should be good news for reliability. Newer parts are shared with PSA’s more recent passenger vehicles and have proven dependable, although things like a laggy touchscreen could mean you’ll need something like a software update through your dealer. 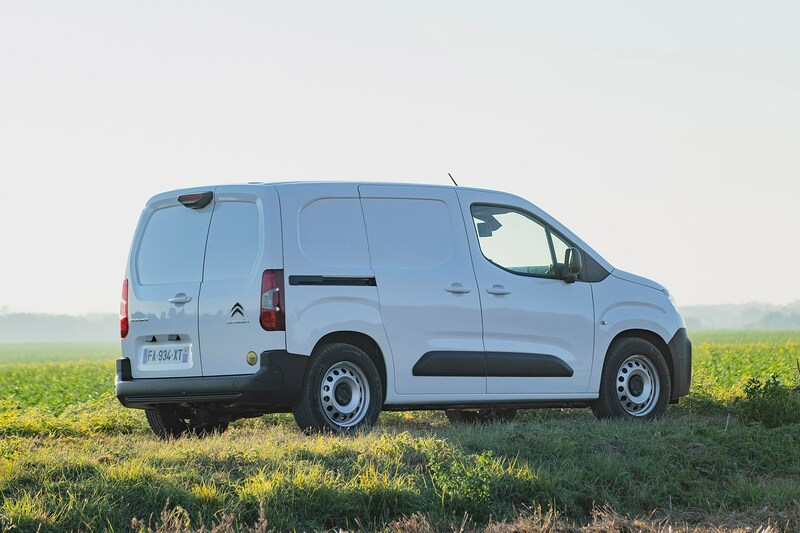 There are as many as 20 driver assistance systems available on the Berlingo – the most that has ever been available on one of Citroen's commercial vehicles, boding well for its safety rating. 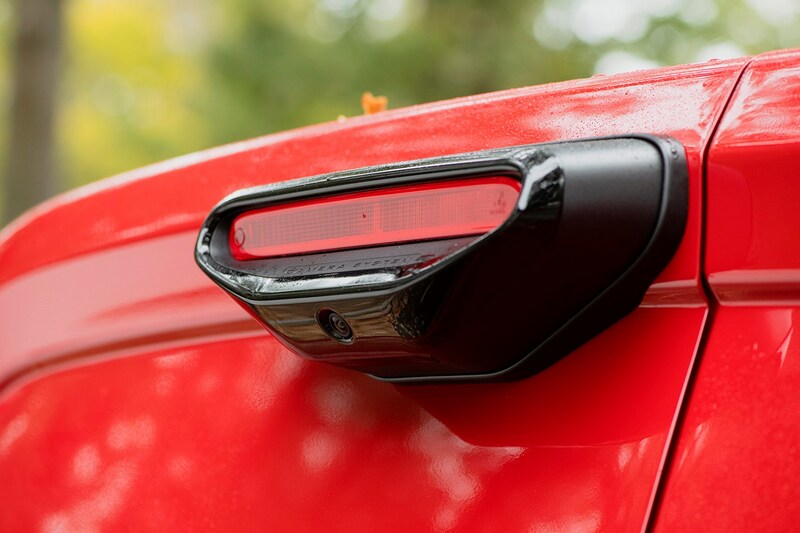 In terms of security, one of the biggest things Citroen is keen to point out about the Berlingo is that the hinges for the rear doors are hidden, which makes it far more difficult for any potential thieves to gain access. 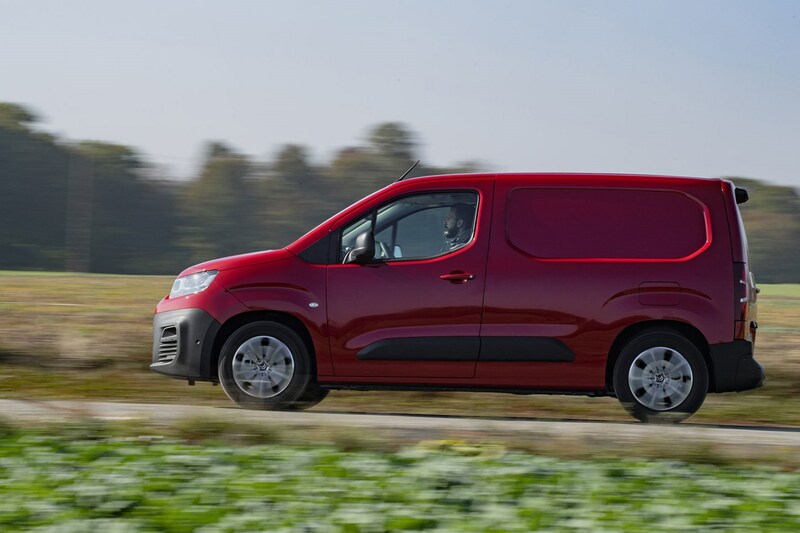 Which Citroën Berlingo is best for me? If you want the Berlingo with the highest claimed fuel economy, the BlueHDi 100 in Enterprise or Driver trims will suit you best, with claims of up to 67.3mpg on the combined cycle. However, even the worst offender isn’t far behind at 61.4mpg for the Worker version of this engine, so you won’t feel shortchanged. Figures for the PureTech 110 petrol engine haven’t been released at the time of writing, but it’s likely this engine won’t be able to replicate the figures produced by the diesel engines, and will be better suited to town driving where it’ll be more frugal. All BlueHDi engines aside from the 75hp model come with stop-start as standard, which goes some way to increasing fuel economy and reducing emissions. If maximum payload is a priority, look for a Berlingo with 1000 in the name, highlighting that it’s a model with a maximum payload of 1,000kg. There’s a total of eight Berlingo models available in this form – all of which are in Berlingo M length. Two come in Worker trim (BlueHDi 75 and 100), three in Enterprise trim (BlueHDi 100, 130 and 130 EAT8 auto) and three in Driver trim (BlueHDi 100, 130 and 130 EAT8 auto). Entry-level Berlingo X models may be a bit sparse for some, so upgrading to the Enterprise will be a good option for many. It opens up more engine options, too, and comes with car-like levels of standard kit that will make day-to-day driving much easier. If you need the more rugged option, the Berlingo Worker focuses more on utility with higher ground clearance, a more practical Extenso Cab as standard and Grip Control for use on a building site. If it’s more of a lifestyle angle you’re after and you’ll be spending more time behind the wheel, the top-spec Berlingo Driver will appeal with a focus on comfort for the driver, the most amount of gadgets inside and extra sound insulation for a quieter, more refined drive. It also has the most amount of colour coding and alloy wheels for a more sophisticated look. The BlueHDi 100 is a popular engine and sits in the middle of the range, available with the greatest combinations of engine and payload, meaning more options for buyers. It also balances having enough power and torque for most situations without being too costly to buy in the first place. After an insurance quote for a Citroen Berlingo? Try mustard.co.uk.